In Frozen, we are shown a magical power at a level never experienced before in the Princess-verse, several orders of magnitude greater than any others. This is quite a claim, so let us review the level of effect other magic-users have. The Evil Queen in Snow White and the Seven Dwarfs doesn’t actually present many powers beyond those of other witches. She transforms herself into an old woman and creates a cursed apple, in each case magic affecting a single person. She also performs some scrying with her magic mirror, but that was just using a separate magic item, not using any power of her own. Dallben from The Black Cauldron is supposedly the greatest wizard in Prydain, but we see little, if any, actual use of magic by him. Hen Wen, the pig, seems to show greater powers as an oracle. The Horned King’s power is simply his immortality; he must use the Black Cauldron to raise his undead army, not his own powers. Jafar purports himself to be a powerful sorcerer, but doesn’t actually do anything other than hypnotism. It is only after being granted the wish to become the most power sorcerer does he do anything of significance, moving objects, breathing fire, transforming himself and others. Even then, however, the effects are limited, a few objects moved or transformed, individual people and himself transformed. The Genie has tremendous powers, right? But again, upon analysis, his power are not that great. He teleports himself and Aladdin a few times, which is very useful. When he grants Aladdin’s wish to become a prince, there is a great parade of people and animals leading the way for “Prince Ali Ababwa”, but in the end they all disappear, and all that is left is a new suit of clothes for Aladdin. Almost all of the Genie’s powers are just illusions, little of actual substance. King Triton transforms his daughter into a human. That’s about it. Ursula shows a bit more promise. She does transformations as well, can transfer abilities, and a bit of hypnosis. Finally, she turns into a giant squid and it is in this form that she can cause any wide-spread damage, causing a giant whirlpool and smashing ships. Malificent has greater powers, teleportation, curses, and hypnosis, but like Ursula, her powers only become wide reaching when she transforms herself into a fire breathing dragon. The enchantress from Beauty and the Beast finally shows a real power, able to transform hundreds of people into household items (and one beast), and to keep this power active for many years. This is the most significant use of magic up to this point, though it is odd that it goes mostly un-noticed by the surrounding population. But it is Queen Elsa of Arendelle who possesses a power of true significance. 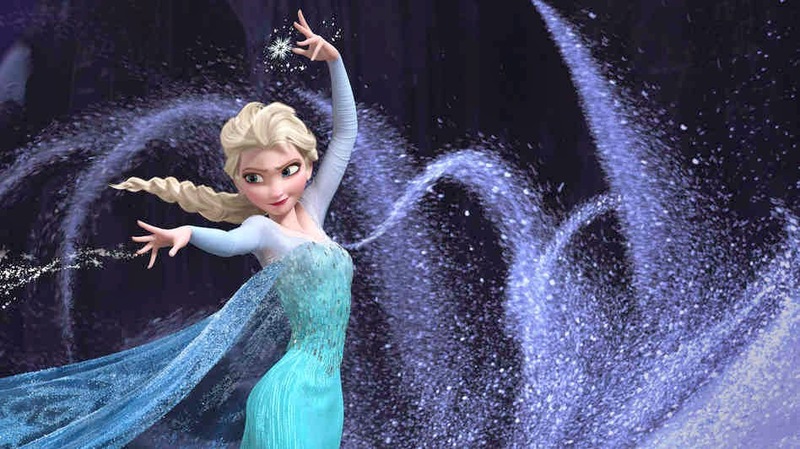 During the events of Frozen she is shown to spontaneously create large areas of snow and ice, create clothing and other small items, summon snow/ice elementals (both small and huge), and create blizzard conditions. She can erect a large palace made of ice in the course of only a few minutes. And finally, she was able to plunge the royal castle, the capital city of Arendelle, and the nearby villages from summer weather in July into an ‘eternal winter’, causing significant snowfall and freezing the entire fjord. This power effected thousands of people, perhaps tens of thousands. And this was done unintentionally, subconsciously due to stress and fear. Imagine how much power Elsa could channel if done intentionally, as she did in creating her ice palace. Let us suppose that the Duchy of Weselton and the Southern Isles felt aggrieved enough to raise a naval force to bring against Arendelle. Based on powers we have already seen, she could create icebergs to ram the incoming ships, freeze the very ocean to immobilize the fleet, even lift ships out of the water altogether, knocking them over and breaking their hulls. She could summon a blizzard to blind them, a hail storm to destroy their sails and masts. If Arendelle were to be attacked by ground troops, Queen Elsa could create ice battlements in a matter of minutes, summon an army of ice elementals to defend the kingdom, and create ice storms to harry the attacking army. If she chose to go on the offensive, she could sail her flagship to the offending capital and plunge them into their own eternal winter, freezing their ports and making all roads in or out snowbound and unpassable. Freezing weather and non-stop snow to put the offending city under siege, burying the buildings and collapsing their roofs. Once past the difficulties following the coronation, the people of Arendelle appear to accept their queen and her powers. She certainly appears to intend a benevolent reign, providing ice skating and air conditioning during the summer, unlike other historical magically enabled rulers, like the Evil Queen from Snow White. While Elsa may feel satisfied to respond to Weselton’s attempted regicide with simply a trade embargo, Weselton, and other kingdoms, may feel threatened by Arendelle’s potential disruptive and destructive power, probably leading to a magical arms race. 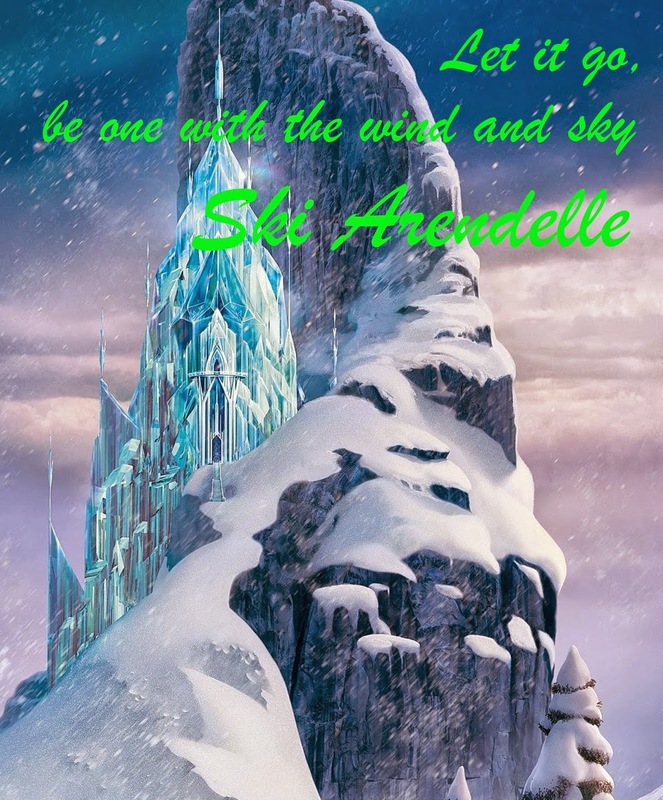 Once it is widely known that Arendelle is peacefully ruled by a sorceress, it will likely draw other magic-users who will see Arendelle as a haven, where they can live free of the widely felt belief that magic equals evil, especially powerful magic. However, other kingdoms, feeling threatened by Arendelle’s power, will also be seeking powerful magic-users, for their own defense. However, powerful magic is rare, and none come close to Elsa’s power. These kingdoms run the risk, of course, that once someone like Malificent has been recruited, she may decide to take over. Hostile kingdoms would likely need to resort to more stealthy approaches, poison apples and assassination, rather than direct conflict. With an increase in inter-kingdom espionage, and a race to acquire greater magical powers, Frozen has shown us the beginning of a (pardon the pun) cold war in the Princess-verse. Most likely, in the Princess-verse, there many other users of magic, we just don’t have movies showing us their boring exploits. While we’ve seen four fairies helping out Cinderella and Aurora, there have probably been many others helping out other random people and the occasional princess or future princess; we’ve just haven’t had the privilege of seeing it. And equally so, there have probably been other enchanters, sorcerers, wizards throughout history, for good and evil, and again, just no movie for us to see. Jafar and Dallben appear to be educated in magic, and likely learned their magic from other wizards and enchanters, though it is not common enough to merit any kind of Hogwarts-style school. Others, perhaps like Malificent and Elsa, just discovered the inborn powers, and struggled to learn to control it. And, of course, there’s a countless number of witches, so they probably have their own guild. While not common, magic appears often enough that the population of the Princess-verse knows about, either from stories and legends, or potentially, by direct contact. So what does the public feel about these people? There are both good and evil magic-users in the Princess-verse, as I’ve already listed. However, among those garnering public attention, it’s mostly the evil ones. Good fairies are casting their charms privately, and only on a person or two. So-call great wizard Dallben has hidden himself away on a pig farm. Triton lives under-the-sea. And that’s about it. The Genie will grant wishes to anyone who has his lamp, and the Beauty and the Beast enchantress probably thinks she’s doing good, but takes things way overboard, hurting a lot of people in the process. Then the rest: Evil Queen, tyrant, narcissist, and murderer; Malificent, narcissist and fire-breathing dragon; Horned King, king of the undead; Jafar, Machiavellian political manipulator and, of course, narcissist; the witches from Brave and The Black Cauldron, tricksters with a bad attitude; and Ursula, user, manipulator, and power-crazed giant squid. Finally, we have Frozen. Little Princesses Elsa and Anna are playing, Elsa using her magical snow and ice powers, and Anna is hurt by a misfired ray of cold. Off to the trolls, where Grand Pabbie is able to heal Anna, but also feels it best to remove her memory of Elsa’s powers. Why? And after advising Elsa that she needs to learn to control her powers, her parents, the King of Queen, decide it would be best to shut the doors of the castle and teach Elsa to hide and repress her powers. Why? As an audience in 2013, these choices seem backwards. We live in a society that does (or is evolving to) accept differences, revels in people’s uniqueness, and loves super-heroes. Elsa should have been taking regular trips into the mountains to practice making snowballs and ice sculptures. But in the Princess-verse, the people have learned that with great power comes great evil. Sure, the occasional fairy or troll elder is harmless, but if you have any real magical abilities, so are destined to cause great trouble. When, after arguing with Anna during the coronation ball, Elsa fires off a wall of ice to keep the crowd away, the Duke of Weselton yells out “Sorcery!”, and not in admiration, but in fear. He calls her a monster instructs his thugs to kill her, given the chance. The crowd in the castle courtyard back away from Elsa in fear when she freezes the fountains. These are the reactions of people who fear magic powers. So while Elsa herself was an innocent child, she was cursed with magic, and so Grand Pabbie troll and King Agdar both felt that hiding her abilities to be the correct choice, to protect her from the world that believes that magic power leads to death and destruction. And, of course, it nearly does. In each of the Princess-verse movies, there are characters that use magic, both benevolent and malevolent. Some possess only simple powers, while other are quite powerful. These characters and the events of the movies build their world’s mythos, form the folklore and legends that inform the characters of each future movie. In Cinderella, the only character to employ magical powers is the Fairy Godmother. A benign character, she helps Cinderella by creating clothing and transforming animals and objects. Given that Prince Charming picks Cinderella from amongst all the eligible girls in the kingdom, it seems likely that the Fairy Godmother also added a bit of extra magic, a glamour, to draw Prince Charming’s attention to Cinderella and only to Cinderella. However, no one other than Cinderella herself knows about the Fairy Godmother’s actions, unless Cinderella tells them. She might tell Prince Charming and other new family and friends, but since there were no witnesses, it is probably treated as no more than a family story, and has little long-term cultural impact. In Snow White and the Seven Dwarfs, all magic performed by one character, the Queen. How she became queen is dubious, since as wife of the King, she would not succeed to the throne; it would be Snow White, as the king’s only child who would inherit the crown, though since she was a minor, her step-mother the queen could serve as regent, and later usurp the position. As queen, she is cruel to her step-daughter, Snow White, attempting to murder her several times. Both her use of magic and her malign nature were well known around the kingdom, enough for her to be known as the Evil Queen. Stories of her magic and her deeds would be well known over time. 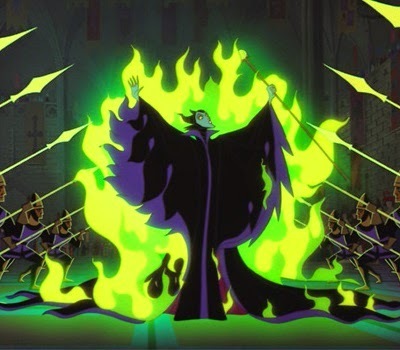 Similarly, in Sleeping Beauty, Malificent is well known to be magically powerful, able shoot lightning bolts and even transform into a fire breathing dragon. While not claiming the throne herself, her presence strongly influences the nearby kingdoms. She uses these powers for evil purposes, cursing the baby Princess Aurora, kidnapping Prince Phillip attempting to kill him as a dragon. Her deeds were very public are likely to live on in legend for many years. These three movies appear to take place during the middle ages, and likely form the basis of any legends and stories that exist in the Princess-verse, shaping many of the opinions and attitudes towards magical adepts. There are a great variety of characters who use magic in The Black Cauldron, from the benevolent Dallben the Enchanter, the megalomaniacal Horned King, to the ambivalent three witches. However, it is the Horned King who succeeds in acquiring the eponymous black cauldron and proceeds to raise an undead army. The events of Brave, like Cinderella, are more limited, with only a single magic-user, the witch, and limited effects, one transformation (the queen into a bear.) It’s hard to say that this witch is outright evil, given that it is Merida who wants to affect her mother; the witch acts more as the trickster, granting Merida’s wish, but not in the way she expects. In Aladdin, there are two characters who use magic, Jafar, the sorcerer who wants to take over ruling the sultanate of Agrabah, and the Genie, who, while generally good intentioned, must grant wishes to whomever is his master, good or evil. Beauty and the Beast only has one character who uses magic, and only in a flashback, the Enchantress. Her powers are significant, able to transform the prince in the Beast, and hundreds of his servants into household objects, all transformations lasting for many years (and presumably would for many more had Belle not broken the spell.) Whether the Enchantress’ action are evil is a debatable point; she took her actions to punish the selfish Prince, perhaps an over-reaction due to his young age, but forcing his many servants to join him in his curse through no fault of their own is cruel and inhumane. Like in Aladdin, there are two primary magic-users in The Little Mermaid, King Triton and Ursula. While presumably powerful, we see only a little magic performed by Triton, primarily transforming his daughter Ariel from mermaid to human. Ursula, on the other hand, shows many more power: transformation of Ariel, transference of aspect (Ariel’s voice), and transformation of herself, to human and later, to giant squid. In an interesting twist, there are no actual magic users in Tangled. Mother Gothel simple uses the inherent magic of the golden flower. Later, that power eventually appears in Rapunzel’s hair, and again, when singing the healing song, Rapunzel is only channeling the flower’s powers, not wielding any power of her own. And finally, in Frozen, we see Grand Pabbie troll doing some minor healing, manipulations of memories, and illusions, and Princess (and later Queen) Elsa producing some significant magic effects. The nature and scale of Elsa’s magic, however, merits more specific discussion. How would the world of Frozen be described? I see 3 main traits: 1) magic exists, 2) the stories happen in or around the rulers of a feudal state, usually a kingdom, and 3) these kingdoms exists in a common alternate earth. Traits 1 and 2 are pretty straightforward, but trait 3 requires a little more explanation. Let us consider the library of Disney animated movies. First, we’ll dismiss the Mickey Mouse/Goofy/etc. and Winnie the Pooh based movies, as well as others populated primarily by talking anthropomorphized animals. Among the rest, most can be split into two general settings: those occurring in a fictionalized earth; and those on an alternate earth. In this alternate earth, the cultures of our earth exist, but the political entities are different. Additionally, magic works, and some technologies do not exist, primarily gunpowder-based weapons, cannon and fire-arms. Examples of earth-based stories are Pinocchio and The Hunchback of Notre Dame. Pinocchio takes place in Tuscany and other areas of Italy, and Hunchback takes place in Paris. Pinocchio has plenty of magic, and Hunchback has animated gargoyles. However, their existence has no long-term effects on the world; no ‘future’ movies talk about puppets coming to life and boys being transformed into donkeys, nor of the great gargoyle rebellion if 1490, or the church’s campaign to destroy these unholy monsters. Instead, One Hundred and One Dalmatians occurs in London, unaffected by the unusual events of Pinocchio or Hunchback. 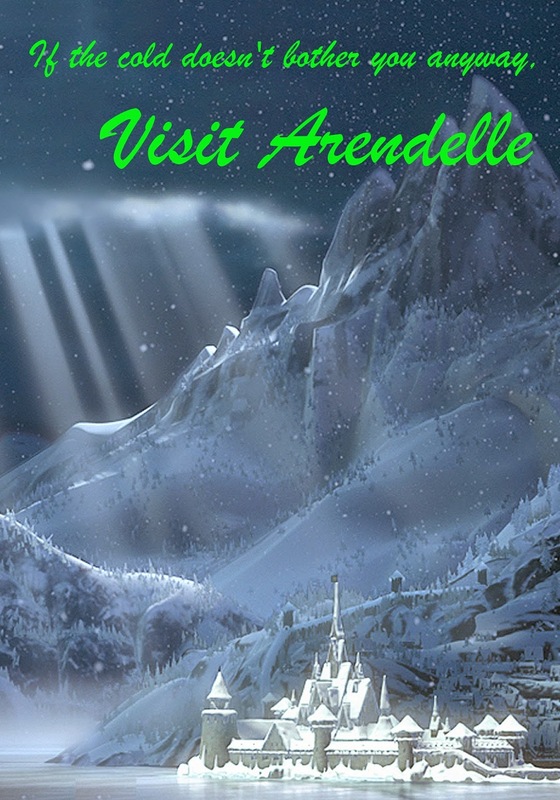 The alternate earth contains Frozen, which occurs in a Scandinavian culture, but in the fictional kingdom of Arendelle. Similarly, Tangled happens in an eastern European culture, but in the fictional kingdom of Corona. Looking at this list, an obvious pattern emerges: the Disney Princesses. At this time, there are 11 official Disney Princesses, and I include 7 of their movies. Three of other four I excluded for reasons already cited (Pocahontas, Mulan, and Tiana’s movies occurring in the fictionalized, not alternate, earth, and Mulan has cannons.) Disney has announced that Anna and Elsa from Frozen will soon be added to the official list as well. That leaves Merida from the Pixar movie Brave. Looking at the details of the movie, however, it applies very well to my filters, and so I will include it. The Disney alternate earth, a.k.a. the Princess-verse, is a lot like the Europe of the 17th and 18th centuries, several hundred separate small, independent states, each with their own King, Prince, or Duke. About a month ago, my family and I finally saw Frozen. 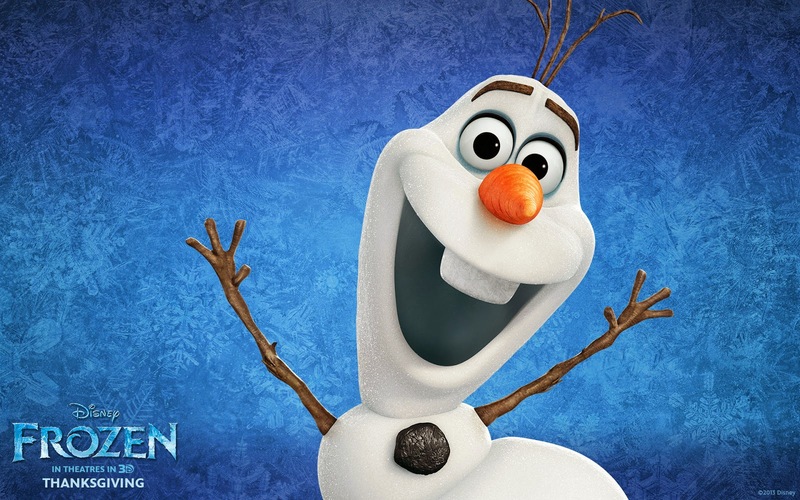 Like many people, we were misled by the advertising campaign that focused on the silly antics of the snowman, assumed it would just be stock princess stuff and juvenile comedy, so we didn’t bother to see it in the theaters. After its release, however, we did start hearing the positive reviews. Finally, once it was released on Blu-ray, we rented it and watched it. And wow. This movie was incredible. Brilliant music, incredible animation, great acting, and a story that both hits all the Disney-princess tropes while at the same time turning them on their head. But I’m not going to talk any more about that; you can read hundreds of reviews and analyses about those aspects of the movie and I don’t have anything of worth to add. But I did wind up wondering about other aspects of the movie, that of magic and its effect on the world of Frozen and other similar Disney movie worlds. What am I likely to talk about? Well, on other sites that ask for a description for myself, I usually enter "Nerd^3 (IT, SF, RPG)", so most posts will be in those realms, but not exclusively. I might talk about trains, jazz, or the oxford comma. And, of course, cat pictures.